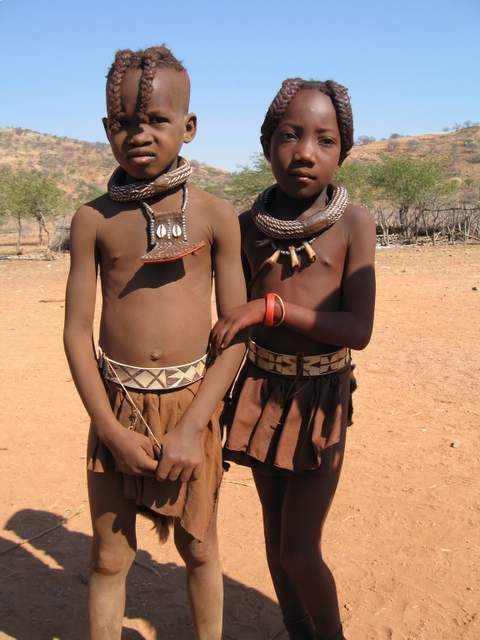 Diary Uis 22nd Are now completely out of the Himba area but have gone back a couple of centuries to the Victorian era. All the ladies are now in full Victorian dress and this costume was introduced to the tribe by German missionaries. I’m sorry to say that I had my first confirmed “road kill” I was travelling at about 50mph on a good dirt road when I noticed (at the last moment) a chameleon in the dirt…it was so perfectly camouflaged that I only had a second to swerve and try to avoid it which I did and thought I’d missed it so thinking it would be interesting for the kids to see a road coloured chameleon I turned round to take them back for a closer look….no, I hadn’t missed it and it was a flatameleon. I felt terrible, this was the first chameleon the kids had seen since Kenya and their own father had slaughtered it. My excuse of “I didn’t see it” reminded me too much of what Volvo drivers say when they pull out on motorcyclists for me to feel comfortable. Ah well, a sad day. Saw some interesting San rock etchings, rock formations like organ pipes and “The Burnt Mountain” which actually resembles a smallish Welsh slag heap. More interesting were the desert elephants which look just like errrr elephants. Absolutely freezing when the sun went down so rented a “family room” for the night which was at least warm and clean and the “owner” gave us a great discount for cash “As long as you don’t tell my mum” ???. Saw a rare Aardwolf dead on the road later and Clare decided that putting a cigarette in its mouth and a beer by its paw with a label “ The real reason why the Aardwolf is becoming extinct” was pushing a little too far onto the questionable taste side of things. PIC SHOWS: WHAT THE ORANGEWOMEN LOOK LIKE BEFORE THEY BECOME WOMEN.